In the age of social media, when brands are furiously trying to create content, promote it, and then breathlessly check for likes and shares, the world’s most valuable company has never put out a Facebook post. It’s never tweeted either. 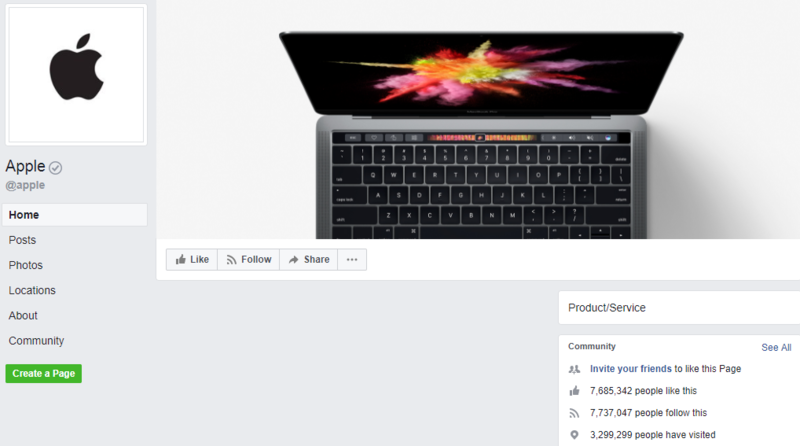 Apple isn’t a conventional company by any means, but to realize how different it is from its competitors, one merely has to look at its social media pages. Apple doesn’t completely eschew social media — it has accounts on the major social networks. Its Facebook page, for instance, has over 7 million likes. But where other brands’ feeds would be full of information about their products, Apple’s is completely empty. Apple has a Twitter account too, and over a million people follow it. 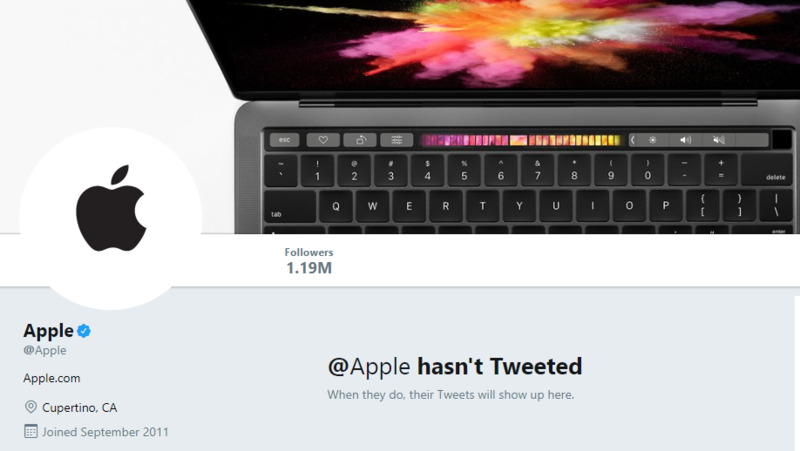 But they might as well be following a ghost — Apple has never tweeted. Apple’s Instagram account is recently created, has nearly a million followers, but only shares pictures of images shot on iPhones. It’s shared only 20 pictures so far. Apple’s reticence on social media is partly because it doesn’t need to be there — it doesn’t need to prod users to buy its products. Apple’s launch events create enough buzz to make sales, and users literally queue up to get their hands on its latest offerings. Also, Apple’s managed to create a cult following for itself — it’s carefully created a brand that’s aspirational and exclusive. Showing up on social media would only put it back on the same playing field as its thousands of competitors. But Apple seems to recognize the power of the medium. It uses social media, but in ways that benefits its customers. Its @AppleSupport twitter handle, for instance, helps users who have concerns about their Apple products, and shares how-to videos and tips. Its @AppleMusic twitter handle shares new music and interviews with musicians. But whatever Apple does on social media, it’s very careful to not try to sell products there through organic means. But it isn’t as though Apple never sells on social media — it’s just careful to demarcate its promotional posts from its organic content. Apple has run several ad campaigns on Facebook, but they’re promoted posts, and thus much closer to traditional ads. Last year, it had run a campaign for its Apple Watch, asking users to choose it as a gift. 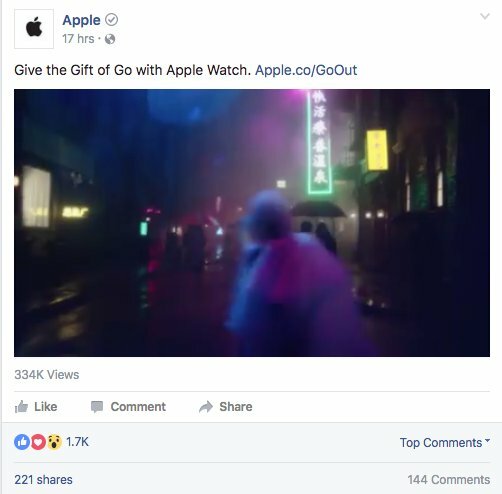 Apple’s also a Facebook campaign targeting people using high-end phones, in which it urges them to switch from their phones to Apple. And while Apple doesn’t directly promote its products, its been using Twitter to promote its launch events. 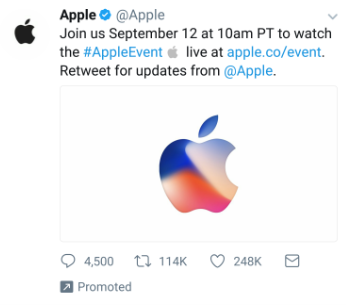 Like last year, Apple’s been promoting a tweet that announces its upcoming event. Retweeting the tweet lets Apple send you notifications about the event. Apple’s unique social media strategy helps it avoid many of the pitfalls of social media. Most popular brands’ official handles become magnets for unhappy customers, and it’s not uncommon to see promotional product videos peppered with queries, complaints and angry rants. Apple cleverly sidesteps this negative publicity by having no official handles at all. And when it needs to use social media’s immense power, it simply buys it through a paid campaign on Facebook or Twitter. And it can well afford to — it is, after all, sitting on over $200 billion (Rs. 13,00,000 crore) of cash.